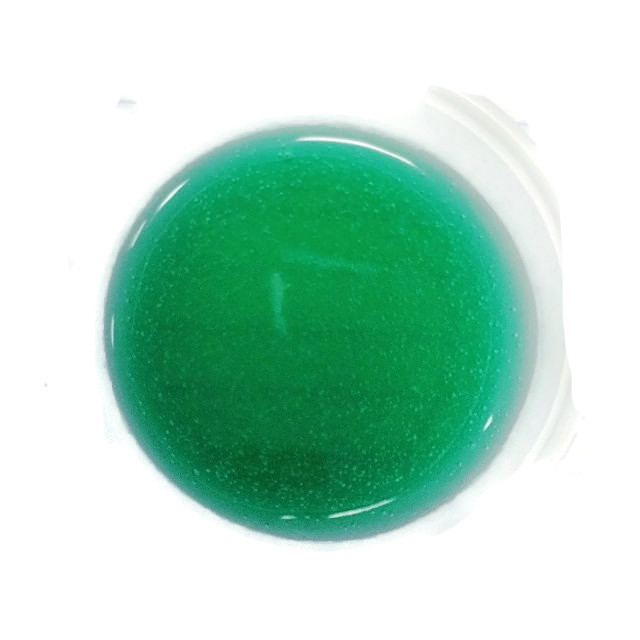 Peppermint extract and glitter turn ordinary slime into holiday peppermint slime. Here’s a simple slime recipe that’s perfect for the winter holidays! This peppermint slime smells like candy canes. You can color it green or red or even combine clear and white batches to get a candy appearance. It won’t taste like candy canes, but it’s not toxic (just in case little ones decide to sample it). It is a borax-free slime. You could also adapt any of my other borax-free slime recipes to make peppermint slime, if you don’t have all the ingredients for this recipe. The recipe uses a bit less than a full bottle of glue, which is great because having leftover glue can help you adjust the consistency of the slime. Mix food coloring into the glue to achieve the color you want. You can add more later, but it’s less messy to mix it in before the slime polymerizes. Work starch into the slime until you get the consistency you want. You want the slime to stick together, but not be glue-sticky on your hands. Kids can do this part by hand, if you like. Add the glitter or sparkles. If the slime is still sticky, add a bit more starch. If the slime is stringy and won’t hold together, add the leftover glue. There’s no right or wrong mixture — it’s all up to you! You can wash the slime from surfaces using warm water. Because of the food coloring, it can stain clothing and carpet. Store the slime in a sealed container or plastic baggie to keep it clean and prevent it from drying out. You can refrigerate sealed slime if you want to keep it for a long time. You can easily adapt these instructions to make cinnamon slime or pumpkin spice slime or whatever you like. Just change the color of the food coloring and the extract or spices. If you decide to go with cinnamon, be careful, since the oil is very irritating to eyes and skin. It would be much safer to crush cinnamon candies into slime or add powder. For any extract, use the smallest amount needed. You can always add more, but can’t subtract ingredients once added to the slime. Have fun!